if it took place in Pakistan…. The Walking Dead is a pretty popular television series. The newest season started not too long ago and the hype for the show has been recreated. Don’t get me wrong though, this series is fantastic. It has the elements I love when it comes to a futuristic dystopian setting filled with zombies. More than mindless killing, it’s the aspect of survival that really reels me in. You can probably tell which season was my favorite. Definitely season three. Anyway, after watching such an intense series, I couldn’t help but wonder what kind of show the Walking Dead would be like if it happened in Pakistan. 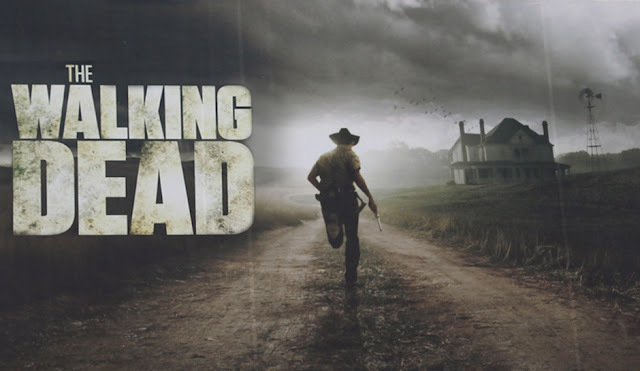 Here are five things that would be different about the Walking Dead if it happened in Pakistan. More specifically, Islamabad. 1. Homes here are a lot more secure when it comes to construction. Every single house is walled and gated, a sharp contrast to the houses in the US which only have a door separating living quarters from the outside. Windows of almost every house is reinforced with steel (which means no walkers coming in and no humans jumping out). So yeah, you can definitely bunker down in your house. With most of the public secure like this, a handful of zombies aren’t too hard to deal with and kind of takes the fun out of a fight. Another important thing to remember is that having every house gated helps to contain freshly turned walkers. So if one house gets infected, it’s not very likely that it will become an instant pandemic. 2. Pakistan is already a country of power outages. No one will be too disoriented when infrastructure fails. Hopefully. Although one of my personal opinions is that news will spread and the first thing people build is walls around power sources like dams, coal factories etc. Of course, these end up failing with no one to properly maintain them once the epidemic spreads. 3. The call to prayer happens five times a day on loudspeakers in almost every neighborhood. That’s definitely a walker magnet and can be utilized to effectively cleanse every nook of the city five times a day. That’s great, isn’t it? 4. Everybody and nobody will be making road trips. First of all, everyone would be off running to their villages BUT there’s going to be a super long line at the petrol station because come on, if regular days can have CNG shortages and 50 vehicles long lines, what can you say for the start of the zombie apocalypse? 5. Pakistan doesn’t have anything like a CDC or a prominent research department that people would turn to for a cure. In fact, there’s not much of a future that people would see and considering how pessimistic most people here are, they’d just start living in this apocalypse world instead of looking for a way out. The entire show would be people trying to reorient themselves and adapting to the new threats. Nobody would be going on a trip to ‘Washington’ and even if someone was roadtripping for a cure, no one would believe such a thing would be possible. In fact, no one would even be surprised to hear that everyone is already infected. Pakistanis would just shrug their shoulders and keep going with their lives. What would happen if the Walking Dead took place in your country? Or in your area, if you’re already in the United States. Have a nice day!